Men and women spend approximately $3.5 billion on infertility services in U.S. each year, and often times a hefty investment still isn’t enough to help couples conceive. There can be many factors at play, but one common culprit on the male end is low sperm motility, or ability to move. To enable sperm to swim better, a team of German researchers have invented tiny motors that generate their power through a magnetic field. In a study recently published in the journal Nano Letters, the scientists explain how their so-called “spermbots” are able to function. The mechanism is a microscopic spiral of metal proportioned perfectly to fit over the tail without slipping over the head. Researchers can guide the motor to the sperm of their choice using the rotating magnetic field, and once attached it propels the sperm towards the egg where it slips off upon entry—at least in theory. The micromotors have yet to be tested in humans and researchers are still not sure how a woman’s immune system might react to their presence in the body. And at this point it would be impossible to get a good view of any motorized sperm inside the body to point them in the right direction, a problem the researchers are currently searching for a solution to. The motors themselves could also use some fine-tuning to ensure they don’t damage any sperm on the journey. Still, the initial tests, observed inside a Petri dish, show promise. The magnetic field used to propel the motor does no harm to the cells around it, and researchers were able to successfully use it to direct the sperm to wherever they wanted them to go. 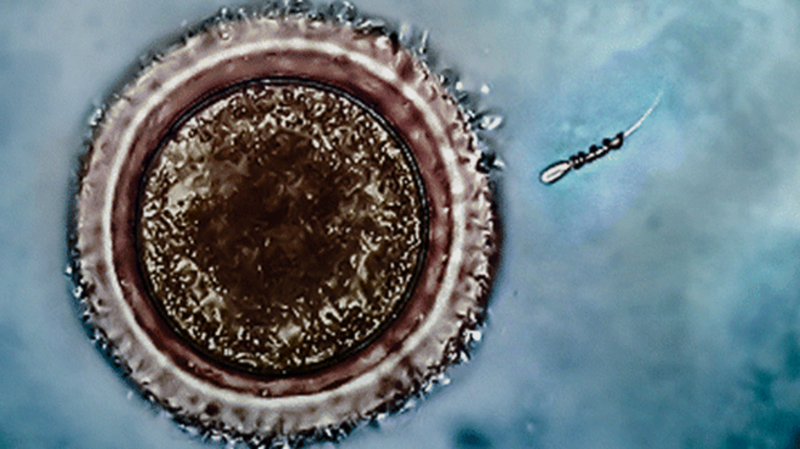 If the technology tests successfully in humans, the technique may one day be used as a cheaper alternative to current fertility treatments.